The Hasselblad award was presented for the 15 th time on Friday 10 November 1995. The award winner, Robert Häusser, Mannheim, Germany, received the award from Madame Gun Åkerman at a ceremony at Artisten in Göteborg. The award sum was SEK 265,000. In conjunction with the ceremony an exhibit of the award winner’s work, Robert Häusser – The Hasselblad award winner 1995, opened at Göteborgs Konsthall. 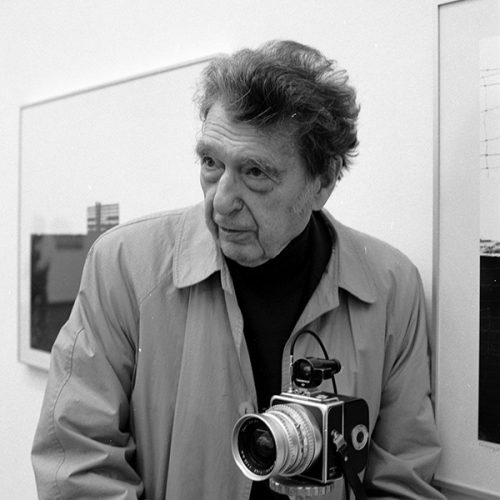 Robert Häusser is one of the leading pictorial artists in present-day German photography. His work can be described as an extension and development of the “subjective photography” genre, which was launched, and won considerable acclaim, in Europe during the post-war years. His graphic and pregnant studies of landscapes and architecture combine a fine simplification of the essentials of his subjects with a quietly threatening tone. Häusser’s work reveals an intricate interplay between surface and depth.